Federal spending is tempting, but it doesn't actually help students. Leave it government to never, ever learn from its mistakes. Since the establishment of the U.S. Department of Education in 1979, the go-to solution for all things education related has been federal dollars piled atop more federal dollars. But for a Department so fixated on testing and results, it's remarkable how demonstrable failures are either extended or replicated without end. Race to the Top, Head Start, and No Child Left Behind have poured billions into schooling, without the promised improvements in student achievement. Across the country, the school districts that spend the most per child have the worst results, with the District of Columbia being among the worst offenders. In a recent piece, Politico reports on how outgoing Education Secretary Arne Duncan's plan to pump billions of dollars of stimulus money into the nation's worst schools was a complete failure. After six years, the schools showed virtually no improvement compared with the ones that received no extra money, while a third of the targeted schools actually got worse. Why, then, does public policy continue to fail the American education system? There are really two things at work here: the inherent problem with central control, and a basic misunderstanding of how children learn. The first is a staple of conservative and libertarian thought that, at this point, requires little explanation. The more remote a problem is from those trying to solve it, the more difficulty will be had. A central bureaucracy operating out of Washington, DC is simply not capable of addressing the individual needs of states, to say nothing of cities, school districts, schools, and individual students. Since these decision makers can't possibly have the knowledge necessary to know where and how money should be spent at the local level, it inevitably gets misallocated and wasted. The second problem is that there is a belief among regulators that the best way to teach children is uniformity; cramming them into a featureless, windowless room where they are made to memorize the same facts as every other student in the country, and then testing them over and over again until their eyes bleed. If students fail to perform well in this environment, the reason must be that they are not tested enough, that the tests are not rigorous enough, or that expensive technology, like iPads, might somehow be helpful in a vague sort of way if only we can pay for them. It's all nonsense of course. Children are people. They're individuals, and they learn in different ways. Uniformity doesn't work, learning must instead be a journey of discovery that allows flexibility for the child to pursue his own interests at his own pace. Until the government accepts this, we can expect more taxpayer dollars fritter fruitlessly away. In the meantime, since federal money doesn't do local schools any good anyway, more governors should be willing to cut the strings imposed by the Department of Education, and opt out of failed programs like Common Core. There's no point in accepting federal aid that doesn't actually aid anyone. 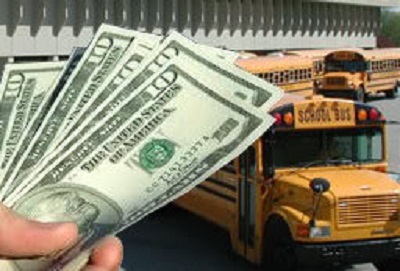 Wasting money for the sake of education is a failure when it comes to governmental policies. It doesn’t make sense the way government is dealing the matter of education. Children have different aptitudes like the rest of the people. They have diverse needs when it comes to learning because they learn according to their own preferences and choices. No ultimate rule can be applied on every student. You may see https://www.uksuperiorspapers.com/ where you able to get a lot of important facts related to it. Six years after ranking fifth in the nation, Ohio’s public education system has fallen to 23rd. The annual Quality Counts report by Education Week includes indicators such as test scores, education finance, and graduation rates to determine a score out of 100. The best state in each category receives 100, and all other states are graded relative to that state. Ohio received a score of 74.9, a C.
When I heard that Education Secretary Arne Duncan was stepping down in December, my first reaction was one of elation. Duncan was instrumental in forcing Common Core upon the states, he’s been an advocate for more federal control of education, and, perhaps most troubling, of increased data collection and analysis in violation of the privacy of both students and parents. Clinging to the hope that a model for a universal preschool program could run effectively, the U.S. Department of Health and Human Services created a project known as Head Start CARES in order to put this concept to the test. The purpose of this initiative was to put to the test three "evidence-based" ways of helping children in lower income communities develop a love of learning, which would eventually grow their academic prowess and help create a rise in the number of high school graduates in impoverished communities throughout the country. Sadly, Head Start has proved to be a failure to launch. According to Heritage Foundation research fellow David Muhlhausen, PH.D. "Experimental evaluations released in 2014 and 2015 by the U.S. Department of Health and Human Services found that enhanced Head Start CARES demonstration programs had little to no effect." As one of our over 6.9 million FreedomWorks activists nationwide, I urge you to contact your senators and ask them to vote YES on the Cruz amendment to the Every Child Achieves Act, S. 1177. This amendment would eliminate federal testing requirements for the states.